Make it the next FGO stream. Now is that actually yours, or just something you snatched at work that no one's missed yet? I bought one, but samples just came in. Nice. What kind of material is it made of? If I was filthy rich I'd commission some Scottish blacksmith to make a real replica of the sword lol. Well, plastic, since it has to light up. I hope you plan to ruthlessly abuse your position to get a signature on it. Who's the cute blond girl with the red eyes and ribbons in a blue jacket and purple/pink backpack? Hmm. 'kay. Cool. Don't know who she is. Oh well. Eeeeh, what he said doesn't tell me anything lol, I wouldn't even know it has anything to do with the Babylonia anime if you hadn't said so. That's really cool. Seriously, looks awesome. Do you have Excalibah, too? BTW, does it also protect you from Magics? Do you have Excalibah, too? Yeah, but this is the cooler part to me, definitely would not have got it if it didn't come with Avalon. Managed to meet and get Ayako Kawasumi's/Saber autograph on a FGO postcard along with Koki Uchiyama's & producer Shizuka Kurosaki at Madfest 2018 in Australia. Their signing session was strictly limited to only the first 120 people who bought $50 worth of Fate merch at the signing booth to qualify. Most people who managed to get this started queuing at the venue as early as about 4 or 5am when the limited signing didn't begin until 11am. I didn't get to the venue until about 7am and there was already about 100 people in line already! I was a little disappointed though that management only allowed the guests to sign the supplied FGO postcard and no other Fate merchandise. 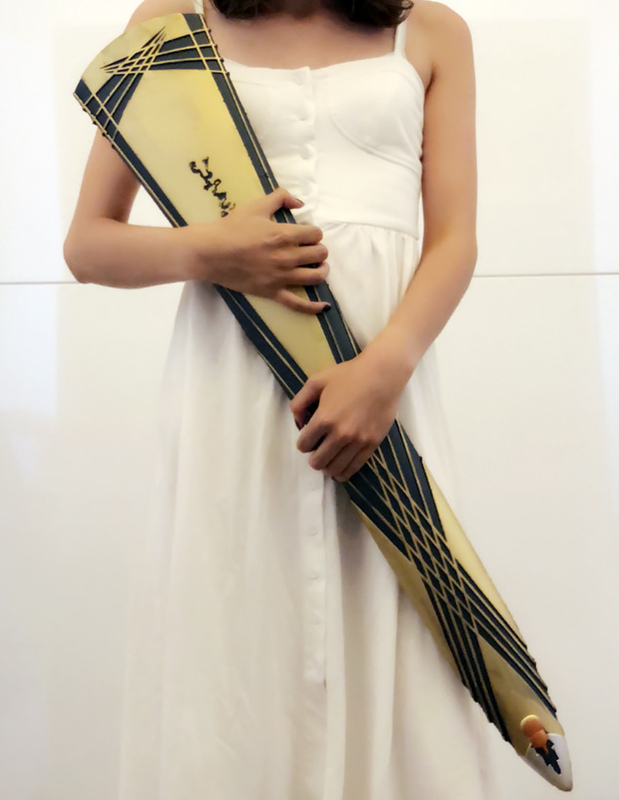 I was gonna bring my Saber Excalibur Sword Umbrella with the Avalon Sheath for Ayako to sign but as soon as I found out about that I didn't bother to bring it, although I wish I had brought it along now just to see her reaction on the item when I went to get her signature on the postcard. 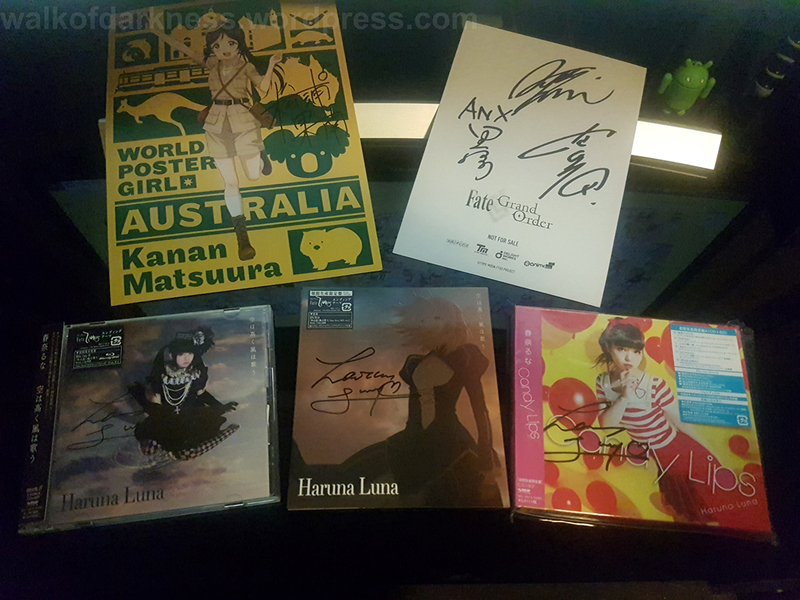 Plus also got to meet Luna Haruna and get her autograph too on the Fate/ZERO ED CD singles. I admire your patience. I could not have waited in a que for 4 hours just to get a signature on a postcard. Especially if I had to spend 50$ on merchandise to qualify as well. If I didn't have to wait for several hours, and could get a signature on something I myself brought with me/bought, and wanted to have signed, then that would have been a different story. But that's cool though. Good on you. Autographs never had any appeal to me, am I weird.